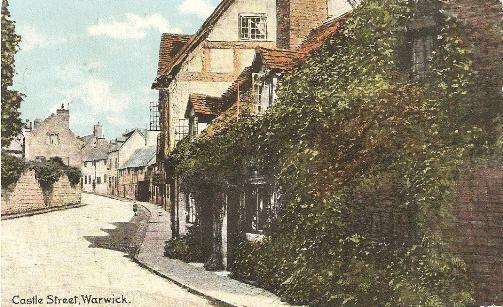 Warwick. 1840. I got into the third class of carriages in the train to Leicester. It is a carriage entirely open, without seats, nothing but a rail or two running across it, something like pens of cattle....Tho' we did not move very quickly, yet it was liker flying than anything else....I learnt some curious lessons in perspective, e.g. the two rails on the road were always drawn together with the greatest rapidity. I stopt last night at Leicester, and came on here [to Warwick] this morning by a slow mail. 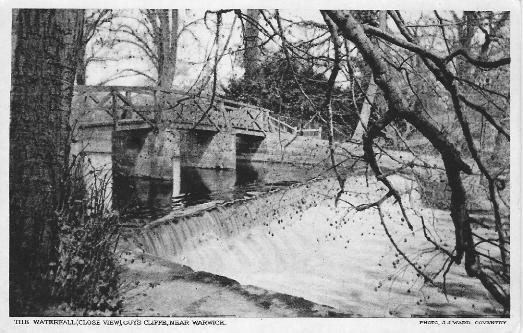 On driving into Warwick, by great chance I happened to have my glass in my eye and perceived my friend, Edward FitzGerald, taking his walk on the pave" towards Leamington. I stopt the coach, and he got up, and we drove to the George here, and had an evening together. Kenilworth looked grand in the distance. I think of going over with Fitz to-morrow. Warwick not to be seen till Saturday as the family are there. Almost afraid I cannot stop as long, as it is very expensive being at an inn. Warwick Castle looked grand and black among its woods from the bridge this evening, a nightingale was singing, and rooks were cawing, and there was moreover the noise of a waterfall. London. I went thro' Warwick Castle. It is certainly a noble specimen of old feudalism, and the views from the windows would be of unrivalled loveliness if the river were only clearer. I and FitzGerald also [climbed] up Guy's tower, and had "large prospect" of the surrounding country: but nothing pleased me better on the whole than two paintings I saw in the castle: one, an Admiral van Tromp by Rembrandt, the other Macchiavelli by Titian both wonderful pictures, but the last grand beyond all words. We strayed about the gardens....Afterwards we went to Stratford and saw Shakespeare's monument. I should not think it can be a good likeness. That foolish fellow painted it white all over, and served poor Johnny Combe, who lies on a monument near, in the same way. I suppose from a notion that so painted they would look more classic, but the monuments all about were gilded and painted, and so were theirs. By which fancy of M alone we have in all probability lost the colour of Shakespeare's hair and eyes, which perhaps would do the world very little good to know, but would have been a little satisfaction to poor physiognomists like myself. We went also into the room where they say he was born. Every part of it is scribbled over with names. I was seized with a sort of enthusiasm, and wrote mine, tho' I was a little ashamed of it afterwards : yet the feeling was genuine at the time, and I did homage with the rest. I forgot Kenilworth. We tumbled about the ruins for three hours, but I was rather disappointed. I had expected to find them larger and more august.